For the past 3 weeks, many Buffaloians have walked past 505 Main Street, in Buffalo, wondering what was going on inside. After Buffalo United Martial Arts studio moved down to River Works, the space became a permanent home to VIPTIX, a ticket sales company. 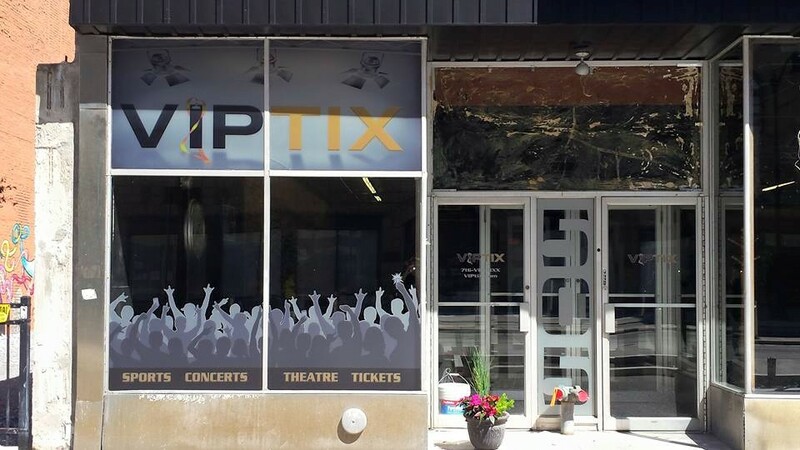 VIPTIX made its way to downtown Buffalo from Williamsville, NY because owner, Nick Giammusso, saw an opportunity for his business to grow. Centralizing his location to downtown would make buying and selling tickets faster and more convenient for him and his customers. With the Threatre District, First Niagara Center and Coke-a-Cola field all in walking distance of this new location, VIPTIX found its self in a prime location for success. The only problem was, with the lack of signage on the building, no one knew the VIPTIX business was there. 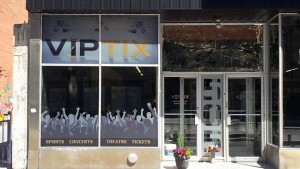 This problem was quickly resolved with the addition of three major signs to the Main Street space; one representing the 505 location, one showing the VIPTIX flashy logo and one silhouette of fans at an event. These three signs have drawn much attention to the space and really made the customers and employees feel at home! here from the start. With the relocation finally complete, Nick can start to find a tenant that would fit. Not only is he trying to fill the vacant space, but Giammusso has plans to expand the building. “I do plan on adding two additional floors of apartments to the building in the future once a tenant is secured in the first floor retail space,” says Giammusso. When it is all said and done, 505 Main Street will be for ticket sales and whatever retail endeavor comes its way. Catching the eyes of people walking in the city of Buffalo, 505 Main Street is no longer a building in question, but a destination for potential customers. Come on down and see what all the fuss is about!! 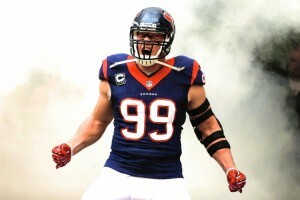 We will be running this feature each week of the regular season, counting down the Top 10 Best Selling NFL Teams! Much like our College Football countdown, our rankings are tied to total sales, web traffic and overall demand for tickets to each of the NFL’s 32 teams. Enjoy! After an outstanding regular season, the Cowboys lost a controversial heart-breaker in the playoffs. 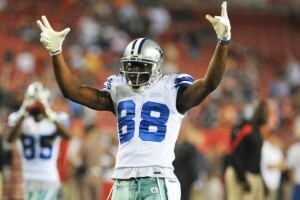 Despite losing RB DeMarco Murray, the Cowboys offense shouldn’t miss a beat, as they resigned star WR Dez Bryant to a MEGA deal. Arguably the most “in demand” ticket each and every year, the Cowboys are dreaming of Super Bowl 50! It was another down season for the Giants, but it was not all hopeless. New York seems to have found their newest star in WR Odell Beckham Jr. After only one season, it’s not a stretch to think he’ll always be remembered for “The Catch.” If the Giants can play good defense, they’ll have a shot in a TOUGH NFC East! Can Eli grab ring #3? If not for a muffed onside kick, the Packers would have represented the NFC in Super Bowl XLIX. 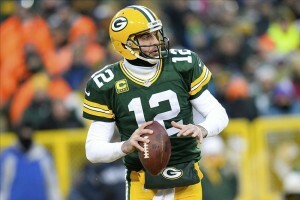 It was a bitter pill to swallow for Green Bay fans, but there is no reason this team shouldn’t be a favorite for Super Bowl 50! Aaron Rodgers is playing some of the best football of his career and that offense is downright LETHAL! Last year’s champs have had a very “interesting” off-season, but whether QB Tom Brady ending up sitting out a few games or not, it’s STILL tough to not favor the Pats for a return trip to the Super Bowl. New England lost some pieces on defense, but with mastermind Bill Belichick roaming the sidelines, he’ll find a way to give his guys the edge! 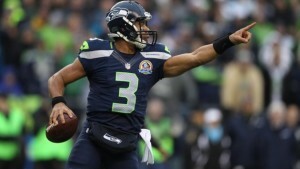 There may not be a more impressive team over the last few years than the Seattle Seahawks. What’s not to love? 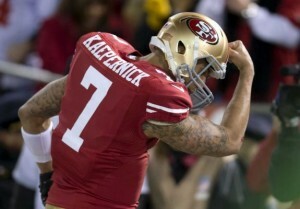 A smart QB, powerful RB, dominating defense, and don’t forget, possibly the best home-field advantage in the NFL! Rusell Wilson is sure to keep the “12’s” happy in 2015! Known traditionally for having a stout defense and punishing running game, the Steelers shocked some people last year with their aerial attack. 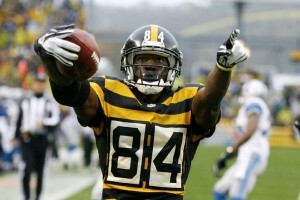 Antonio Brown has a breakout year and looks to be a star in the NFL, while rookie Martavis Bryant made a name for himself as well! With Big Ben under center, the Steelers are dangerous! It was a tough 2014 for the Niners. An 8-8 season resulted in the dismissal of Head Coach Jim Harbaugh and some turnover in some offensive skill positions. Colin Kaepernick will need to work some magic if he wants to be the first to play in a Super Bowl at his own home stadium! “Defense Wins Championships” is a phrase that Jets fans hope is true. There are not too many bright spots on offense, but their D is among the best in the NFL. After landing (get it?) their former CB Darrelle Revis, the Jets have just as much of a chance as anyone else in a wide-open AFC! There are not enough adjectives to describe the Eagles offseason. Filled with wild trades of some of their most popular players, the Eagles offense will not have too many names returning from last year. 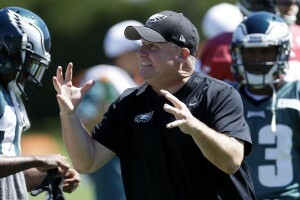 Will Chip Kelly’s experiment pay off? In a very tough division, only time will tell! The talent on the Houston defense is downright SCARY. In addition to last year’s #1 overall pick Jadeveon Clowney, the Texans signed BIG Vince Wilfork to go along with maybe the best football player alvie, JJ Watt. If they can get a long-term answer at QB, this team would instantly be a Super Bowl favorite!